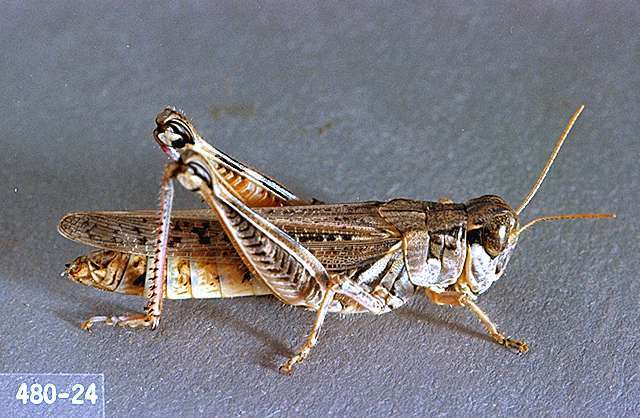 Pest description and crop damage Both young and adult grasshoppers do damage. In addition to foliage injury, feeding on blossoms prevents seed formation. diflubenzuron (Dimilin 2L) insect growth regulator at 0.03 lb ai/a. Include 1 pint to 2 quarts/a of emulsified vegetable oil or paraffinic crop oil For best results, apply when most nymphs have reached the second and third instar. Not effective once grasshoppers reach the adult stage. Repeat applications every 10 to 14 days for more complete coverage of new foliage during rapid growth. Dimilin 2L is NOT hazardous to bees when used alone. Do not graze clover after application. Do not cut treated clover for hay or forage. Do not use harvested seed for sprouting. 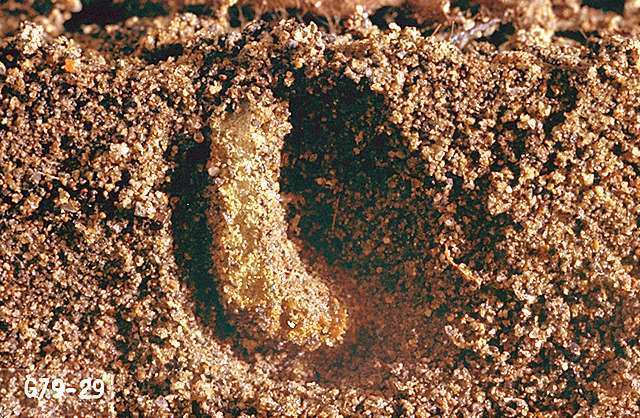 No part of the treated field, including seed, seed screenings, hay, forage, or stubble, may be used for human or animal feed. Processed seed must be labeled. 24c SLN: ID-000013. Idaho only. malathion at 1 to 1.25 lb ai/a. PHI 0 days. REI 12 hr. Apply to plants in bloom only in evening or early morning when bees are not working in the fields or are not hanging on the outside of the hives.